Does a thick toenail mean I have fungus? As I tell my patients in my Houston podiatry practice: Every fungal toenail is thickened, but NOT every thickened toenail is fungus. Nails are a specialized form of skin and react like skin does in many ways. Just as skin will thicken when there is pressure on it, forming a corn or callus, so will toenails. Our feet live in shoes and our toenails will hit the top and end of our shoes, causing pressure on them and small amounts of trauma. This pressure will cause the toenails to thicken. For this same reason, many athletes, such as runners, soccer players, and tennis players, see their toenails thickening. Toenails also respond to trauma. 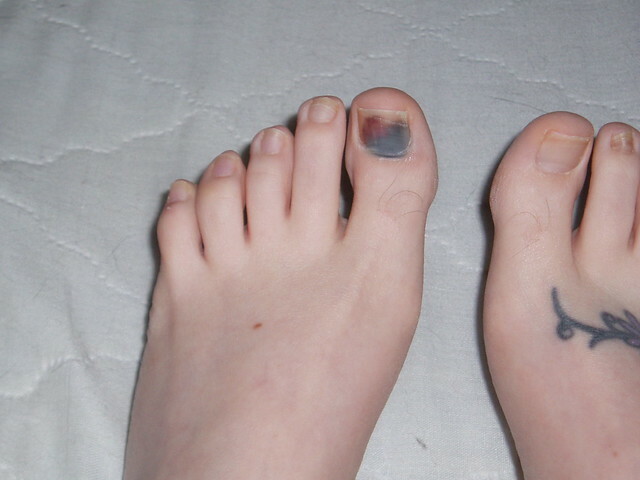 Think of how many times you stub your toe, drop something on your toe, or someone else steps on you. Each time that happens, it is traumatic to the toenail and can lead to ongoing thickening of the toenail. This thickening can occur with or without a fungus infection. If you have injured your toenail, or notice it becoming thickened and discolored, contact Houston podiatrist Dr. Andrew Schneider for a thorough examination.